Accident—Less of future earnings would have to be assessed from the age when promotion was denied due to disability. Comments Off on Accident—Less of future earnings would have to be assessed from the age when promotion was denied due to disability. Accident—Income—Future prospects have no co-relation with the price index, inflation or denunciation of currency value. Comments Off on Accident—Income—Future prospects have no co-relation with the price index, inflation or denunciation of currency value. IMP – FUTURE PROSPECTS- Future prospect to to be added on stand­ardised percentage for Self employed, Fixed salary person even after the age of 50. Comments Off on IMP – FUTURE PROSPECTS- Future prospect to to be added on stand­ardised percentage for Self employed, Fixed salary person even after the age of 50. Motor Vehicles Act, 1988, S.166–Accident–Future Prospects-Amount calculated towards future prospects is to be deposited in form of fixed deposit in some nationalized bank and shall be paid to successful party after decision of reference pending before Supreme Court. 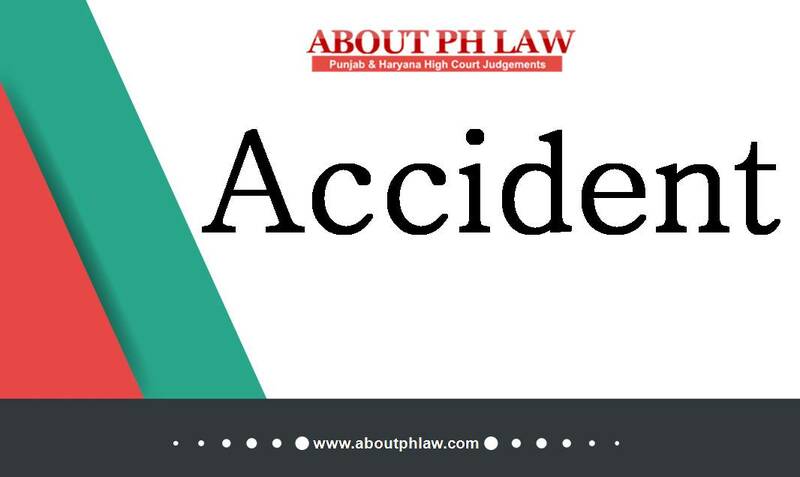 Comments Off on Motor Vehicles Act, 1988, S.166–Accident–Future Prospects-Amount calculated towards future prospects is to be deposited in form of fixed deposit in some nationalized bank and shall be paid to successful party after decision of reference pending before Supreme Court. Accident—Future Prospects—Even in case of agriculturist benefit of future prospects is to be allowed. Comments Off on Accident—Future Prospects—Even in case of agriculturist benefit of future prospects is to be allowed.